You are currently browsing the tag archive for the ‘Heidi Durrow’ tag. I have a very distinct memory of being next to the kitchen in my New Brunswick, NJ apartment somewhere in the 90s. I had a startling realization: I am biracial. Suddenly, I had a new, very useful, consciousness-shifting lens through which to view and understand myself. It is the nature of my family, and it’s very much who I am. I was equally startled that I hadn’t fully understood myself as having biracial identity before that moment. I had been too busy listening to others’ ideas of me. Those people in school who told me I was “acting white” or “not black enough” – They were just plain wrong. It was scary to say all that out loud to myself then, and it still is. Regardless, I have to continue to speak up. This past Sunday I performed at Wilmington Delaware’s first Loving Day Celebration. 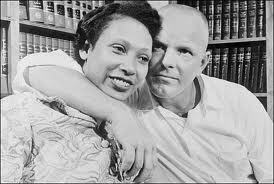 Loving Day is celebrated on June 12th to commemorate the Supreme Court Case Loving v. Virginia, which in 1967 finally struck down remaining state laws against interracial marriage. 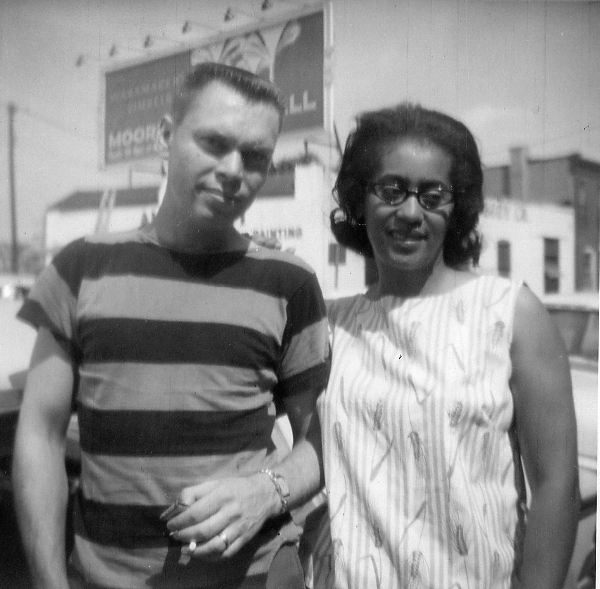 Mildred and Richard Loving were married in 1958 in Washington, D.C., but when they came back to their home in Virginia, were arrested. My parents were married in 1963. Lucky for them, there were no laws against their marriage in New Jersey. Still, I have come to appreciate over the years how difficult it must have been and how much they must have loved each other to go against the grain in that era. My good friend Jenn Phillips organized the indoor/outdoor Loving Day Celebration of music, food, information, and positive, good times. I had never seen her quite as focused and intense while creating or overseeing anything. Just how much it meant to her was apparent, and I am so pleased that her efforts turned out so wonderfully. Karen Rege and Brandi Chavis performed some well-crafted jazz and R&B standards and originals. I loved hearing Scratchy Catfish’s fun and funny blues tunes (“Rockin’, rollin’, getting’ bizarre/Doin’ the Catfish Stomp!”) I played my set and encouraged audience participation and sing-a-long wherever I could. Jenn asked me to write a song for the occasion, and I came up with a tune called “(Color My Love) Indigo.” This first performance of it went well enough. I was so emotional at the end of the event, that it was hard to leave and hard not to cry. It felt so good to have that deep a sense of acceptance and belonging. Two or so years ago when I discovered the Mixed Chicks Chat podcast, I felt immediately at home. I got in touch with the co-hosts Fanshen Cox and Heidi Durrow and eventually was a guest on the show. I spoke about overall blended identity encompassing bisexuality, polyamory, and mixed music and spiritual practices as well as issues of race. When they asked their tongue-in-cheek yet serious question “What are you?” I told them: On my mother’s side as far as I know I am African, Haitian, Irish, and Hopi. I was adopted by my maternal grandmother and her second husband – my mom and dad. I felt so blessed to be among fellow “mixed chicks” where a description of nationalities and family circumstance is informational and conversational, never accusatory or confrontational. It truly felt like a homecoming. I am sorry that I missed their Mixed Roots Film & Literary Festival in Los Angeles this past weekend, but I am sure that the Wilmington celebration was exactly where I needed to be this time around. Trying to cope with people’s expectations of me based on assumptions about race has been one of the most painful challenges of my life. 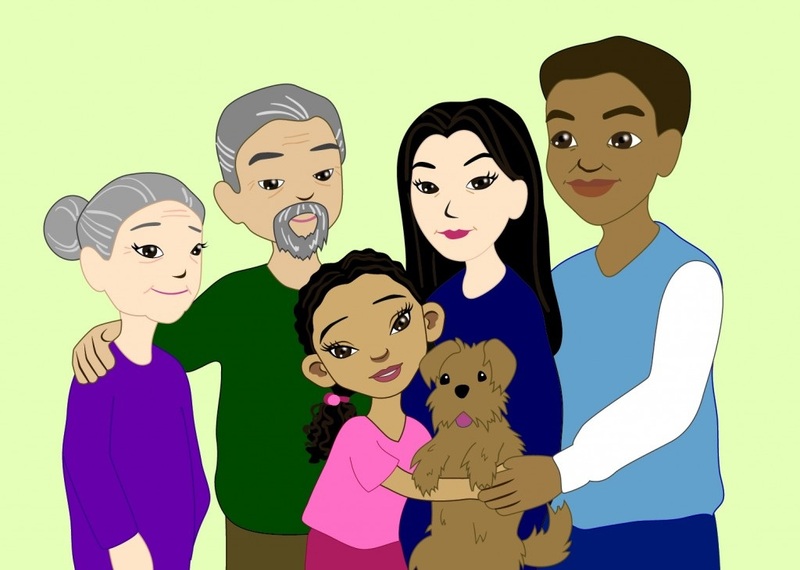 I wish I could have dialed down people’s anger and misunderstanding at times, but I would never trade my biracial and multicultural family experience. Among many things, it has helped me know that I may love whomever I love. It has helped me know that yes, a dark-skinned girl can indeed sing rock songs and play a guitar. And if she wants to add Indian chants or electronica or bluegrass or funk to that somewhere down the line, more power to her. That little awakening moment in my old apartment was the beginning of my understanding the importance of being all of oneself, even in the face of culture’s most strident artificial divisions. Every new celebration like Loving Day wears down those walls.